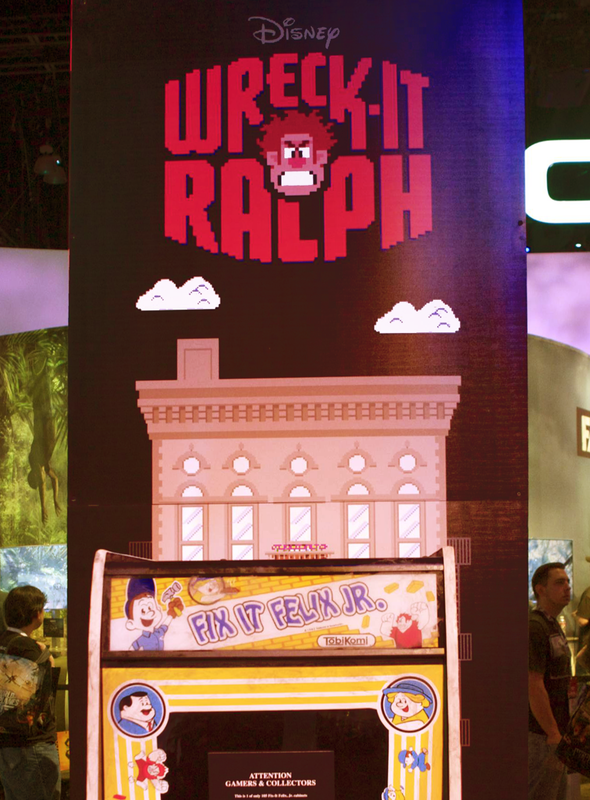 Some friends of mine were good enough to send along a few photos of the Wreck-It Ralph title treatment lording it over the attendees recently at Los Angeles” E3EXPO. These were sent by Steve Silvas and taken by Mike Moreno. Thanks guys! 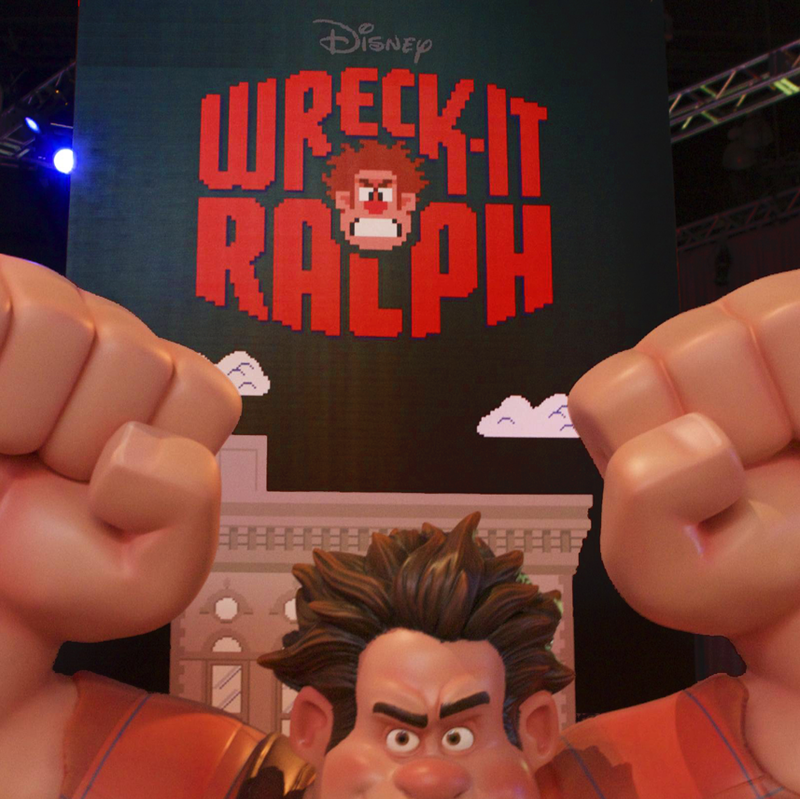 I’m extremely pleased to see that Disney Motion Pictures is making this title treatment one of the key components of its promotion for this upcoming animated film.